The Hermitage is registered as a 30-bedded residential care home. All of the bedrooms benefit from being single rooms on the ground floor. 24 rooms have en-suite facilities. 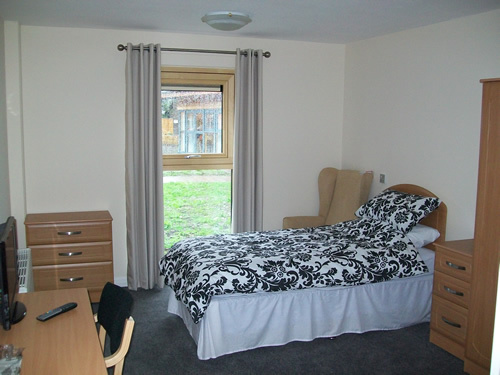 Each bedroom is nicely furnished and decorated. Ladies who reside permanently can personalise their rooms if they so wish with pictures, photos and ornaments. For the safety of our ladies, the entrance/exit doors are alarmed. The lounge and dining room facilities offer comfortable seating and views out to the gardens. A separate visitor’s lounge is also available for ladies to meet with family and friends away from the communal areas. There are also other quiet seating areas around the home. The Hermitage benefits from extensive and well-stocked gardens to the front, side and rear of the home and all outside areas are wheelchair accessible. The gardens are peaceful and tranquil and there is plenty of outside seating available. The pagoda is a great place to sit and watch the sun go down on warm summer evenings. 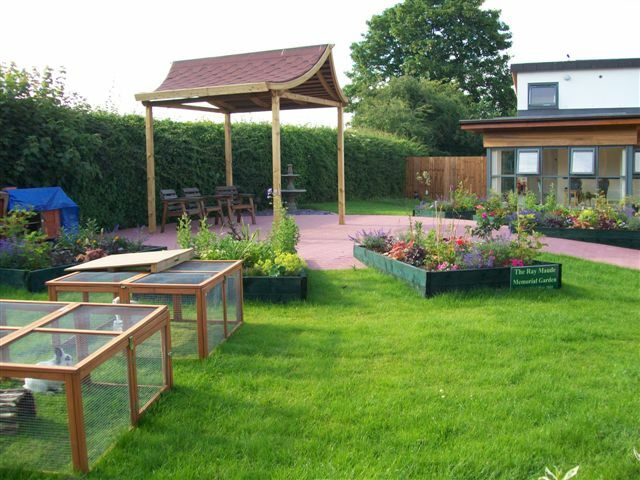 The Home has worked with students from Thomas Alleynes High School in Uttoxeter to develop a memorial garden, and more recently, a natural wildlife garden which was entered into “Heart of England in Bloom” competition.